Our weekday minyan prayer service is not only participatory, but friendly and inviting as well. The service enhances a sense of personal devotion and assists those who are in the process of reciting kaddish (prayer for the deceased). The minyan service underscores our commitment to offer a service to those within our community who seek to perform this mitzvah. Large Print Siddurim are available. Please see an usher when you arrive. 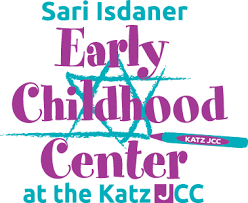 Learn more about this special relationship between the Isdaner Early Childhood Center and CBT. It's time to register for fall Hebrew School! Turn in your registration form. Read more about the recent vandalism and efforts to secure our building. Copyright © 2019 Congregation Beth Tikvah.